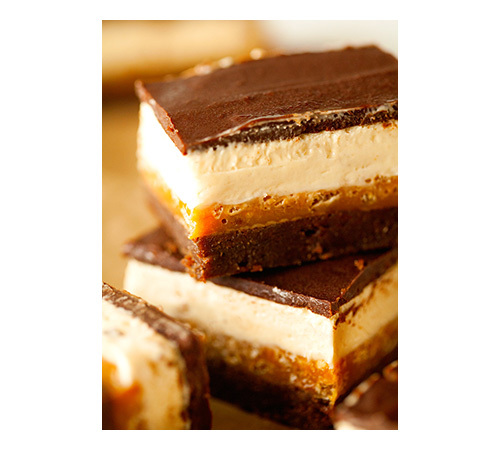 They’re healthified, extremely scrumptious & satisfying and an absolute must-make. I am not sure why, but I’ve had maple syrup on my mind these last couple of weeks. 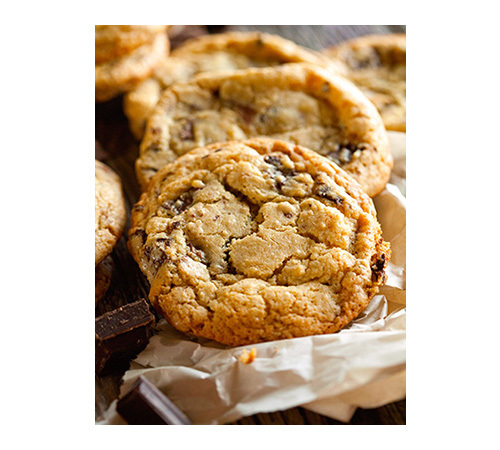 The hearty, rich and deep maple flavor really shines when used in or on top of baked goods ;). The beautiful amber hue fits in so perfectly with the start of fall, which may also have been a contributing factor. When I added a couple of tablespoons to the glaze, I almost wanted to eat it with a spoon. Soo yummey! 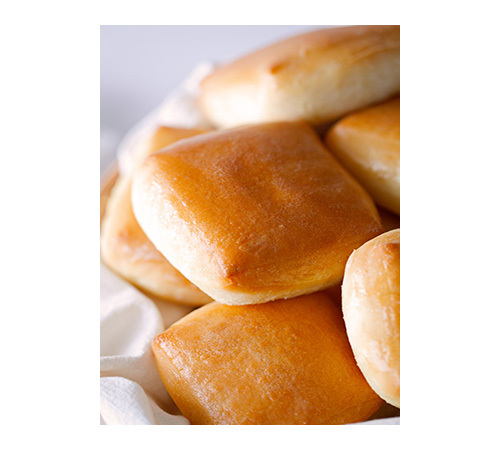 Let’s talk about what’s hiding underneath that sweet glaze though. Besides whipping up a batch of healthier pumpkin muffins, I also added dried cranberries and poppy seeds. 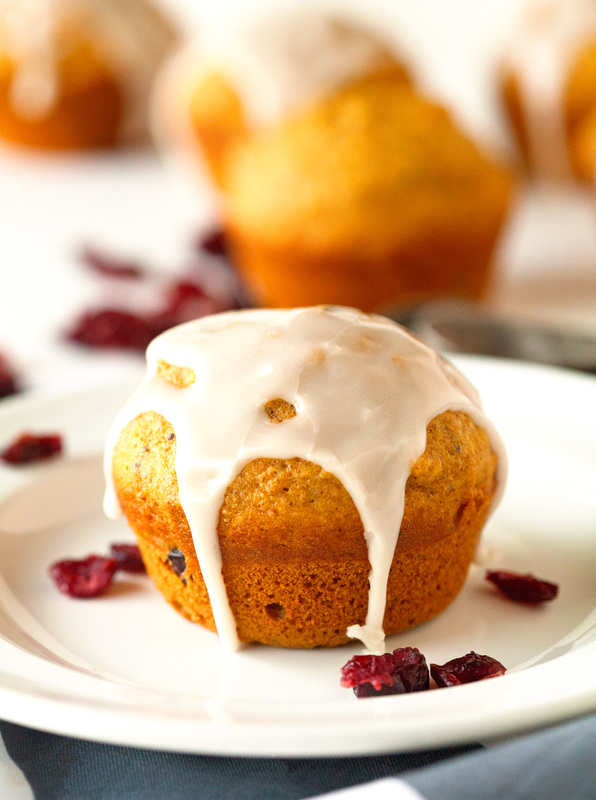 Since I was planning on cutting down on sugar, I wanted to make sure to incorporate some natural sweetness that also gave these muffins some texture – cranberries were the first thing that popped into my head and I am so glad I went with them. Every time you take a bite that holds a cranberry or two, it’s like receiving a tiny surprise. As long as you love cranberries as much as I do. If not, you can basically swap them with another dried fruit or leave them out completely. As always, you should make them your own. Which brings me to the use of poppy seeds. 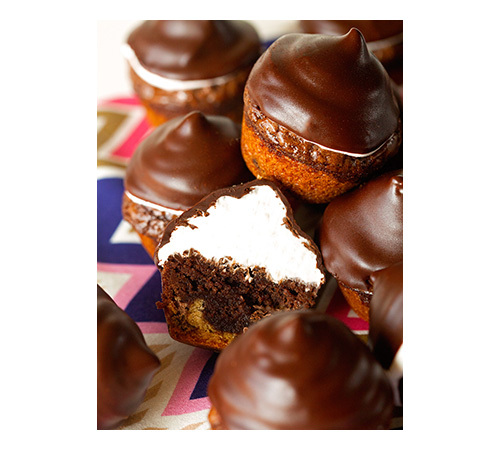 Completely optional, but so great in these muffins! It’s the little something that adds that unique touch everyone will ask you about: “What exactly is in these muffins??”. Look at that cranberry peeking through. I was so excited about my next bite ;). Alright, friends. Hope you’re having a happy and healthy week so far! 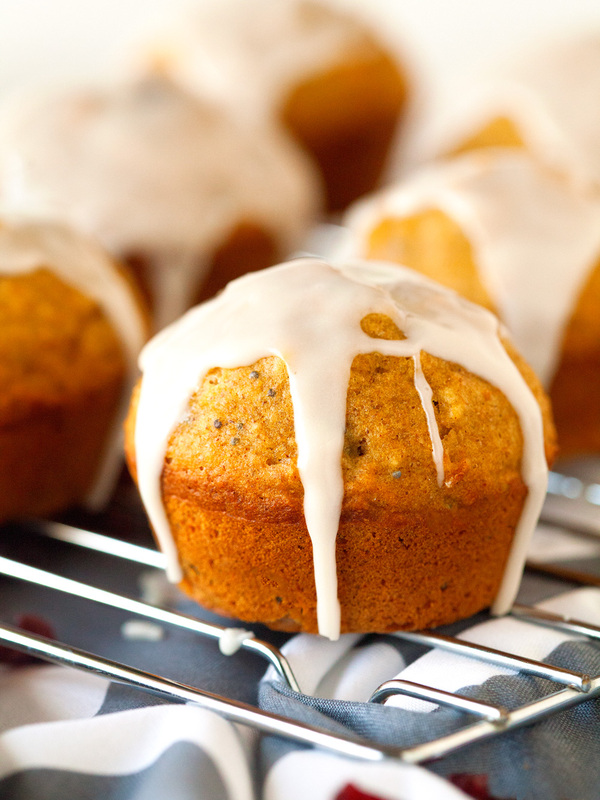 These super easy pumpkin muffins will set you up for a great start to your day. A delicious way to celebrate fall. 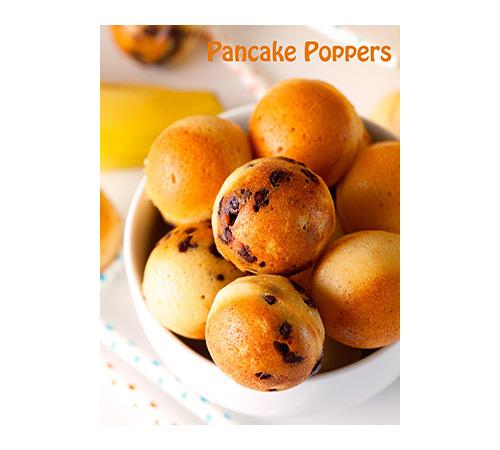 Preheat oven to 350 degrees F. Lightly spray a muffin tin with nonstick spray or line with muffin liners. 1. In a bowl, whisk together whole wheat flour, all-purpose flour, baking soda, baking powder, salt, and cinnamon. Set aside. 2. In another bowl, mix together pumpkin puree, oil, honey, and vanilla. Mix in sugars until combined. Add wet ingredients into the dry ingredients and stir until incorporated. Fold in poppy seeds and cranberries. 3. Fill muffin cups evenly with batter, about 3/4 full. Place in the oven and bake for 20-22 minutes or until a toothpick inserted in the middle comes out clean. Let cool until muffins are safe to handle and then transfer to a wire rack to cool completely. 4. Meanwhile, prepare the maple glaze by mixing together all the ingredients. Using a fork, drizzle desired amount of glaze evenly over each muffin. Let stand for 5 minutes or until glaze is set. Enjoy! Muffins will keep up to 3 days stored in an airtight container or up to 1 month in the freezer. These muffins are gorgeous, Kathi! 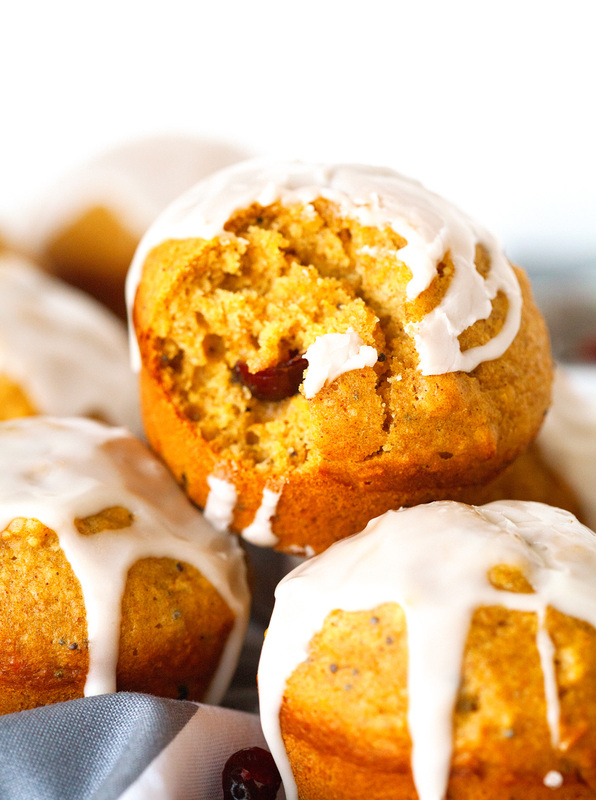 I love that you combined pumpkin and cranberries. Such a perfect fall flavor. And that glaze looks incredible! Do you use fresh, frozen or dried cranberries? We just moved to Wisconsin last November so I know what you mean about the short lived but beautiful fall weather there . . I also love seeing pumpkins and pumpkin patches everywhere. . like literally everywhere!! 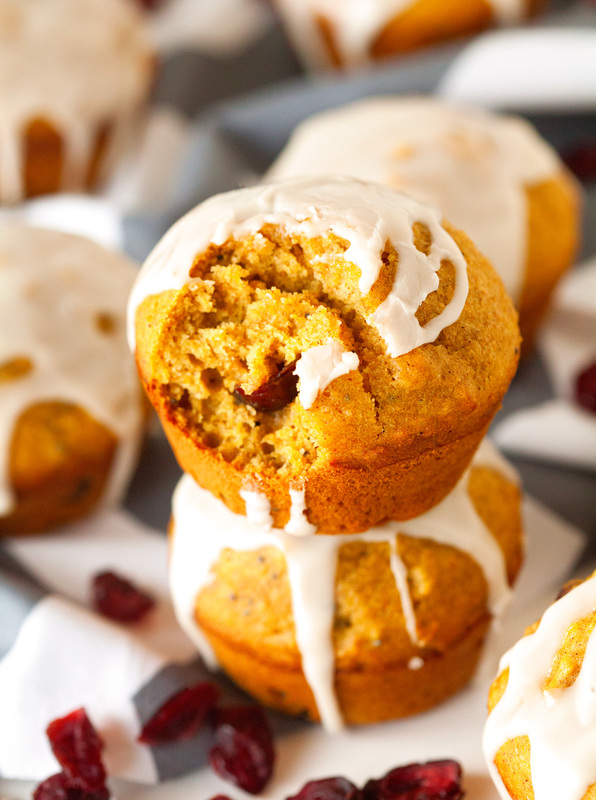 🙂 Your maple-glazed-poppy-cranberry-pumpkin-muffins are gorgeous and look so tasty too!! 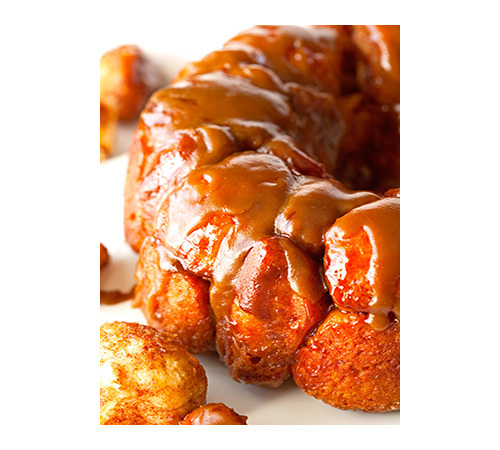 love the maple glaze. . yumm! and pinned! They sure are! I love seeing pumpkin patches everywhere – it looks so beautiful. Thank you so much, Alice. And thank you also for sharing!! Alice you are living in Wisconsin now??? I am so jealous! I relocated to SoCal 3 years ago… where did you move from? I’d rather have a short-lived fall than no fall at all… aka Los Angeles. Where are you in Wisconsin? I lived in Waukesha previously and Madison for college. yes, I’m in Waunakee .. just outside of Madison .. in Wisconsin. We moved here from Seattle for my husband’s job but prior to Seattle, we were only there for 2.5 years (again we moved for my husband’s job), we were in LA for like 12 years! But I love LA b/c I have family there!! These look beautiful! Such a nice change up from a regular pumpkin muffin! These are THE most picture-perfect muffins I’ve ever seen. They could be straight out of Gourmet magazine or something. Your talent for recipes and photography really shine through, not to mention they sound delicious! Pinned! These muffins look amazing Kathi! 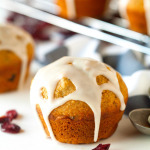 I love that you added cranberries and poppyseed to pumpkin muffins – they sound fabulous and are totally giving me that warm and cozy feeling! And that maple glaze sounds all kinds of amazing! 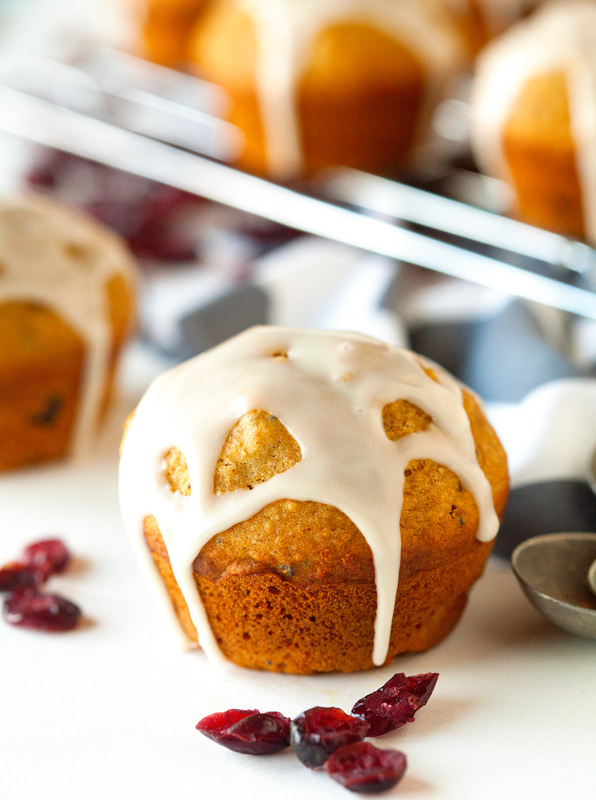 Totally loving all the yummy fall flavours going on in these muffins. 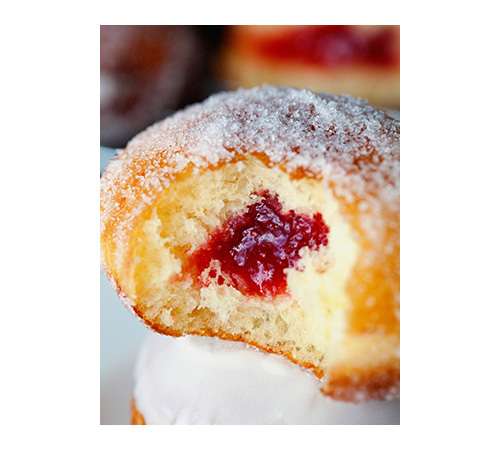 Definitely a recipe I have saved to recreate, they look so delicious and moist! Thanks so much, Thalia. Hope you get a chance to make them sometime! That maple glaze is so pretty! So glad Fall is finally here! Fabulous muffins! I love anything with maple! This was my first time using maple syrup and I can’t wait to come up with more recipes. Thank you so much, Tonia! These are just perfect for fall Kathi! I love the sound of your maple glaze, I can see why you wanted to eat it with a spoon. I was pretty tempted! Thanks, Nat! 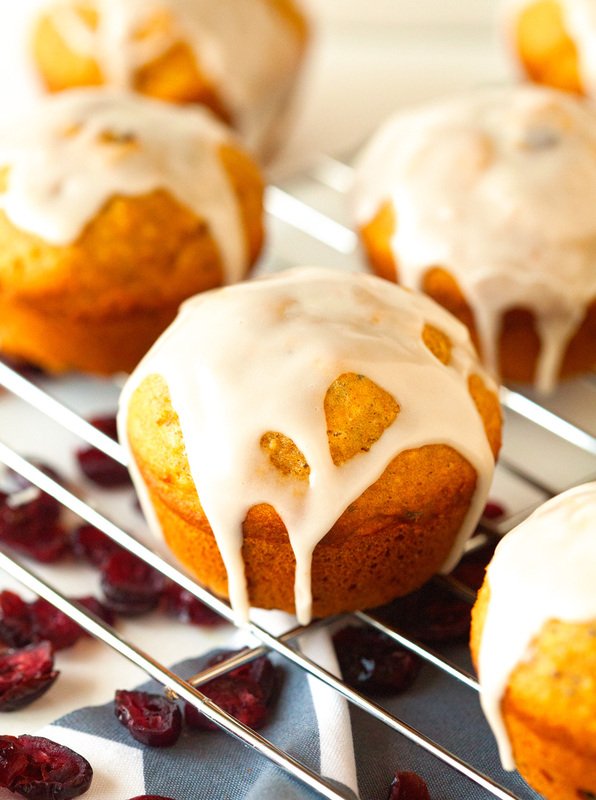 Did you use fresh cranberries or dried cranberries? 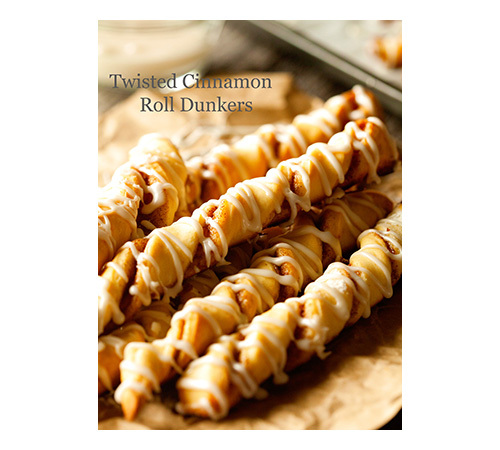 I want to make these tonight. They sound yummy. I used dried cranberries and updated the recipe. Thanks for asking, Kathryn! Gosh these are gorgeous! I love that crunch from poppyseeds and always associate them with lemon, but I love that you put them in this. I’m so ready to dive into fall baking. I gotta put these on my list to bake! I am enjoying reading all the fall recipes out there. It finally feels like fall and I’m excited. Kathi these muffins are practical and delicious. I love that I can make a batch and add them to lunch boxes through out the week. Oh I have such a soft spot for muffins, these look wonderful – love the gorgeous drippy glaze! I’ve never combined pumpkin and poppy seeds, but it sounds so good! And I hope you’ll post some pictures of fall in MN! I need to live vicariously through you, since changing leaves are a myth in SoCal. Thank you, Elizabeth. Yes, I will make sure to share some pics this year. It really is beautiful! This is the first ‘real’ fall I’m experiencing in a few years and I love it! 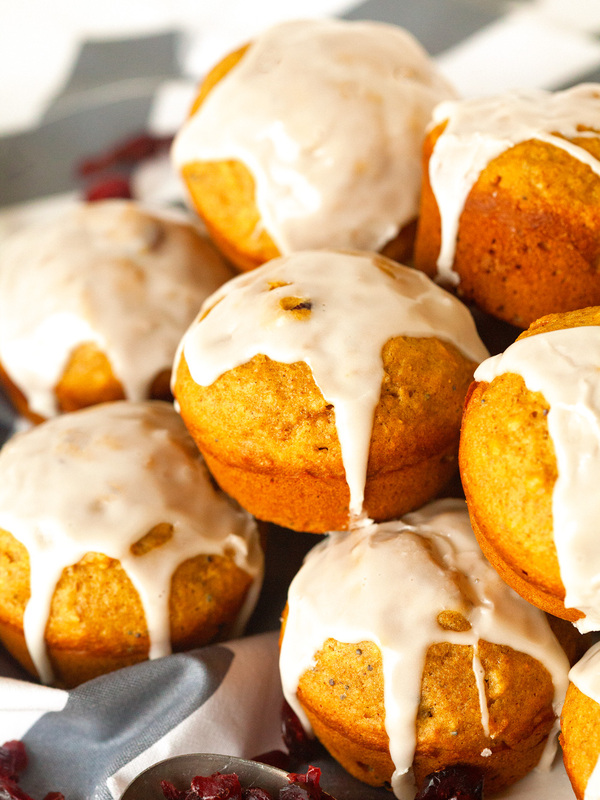 These muffins would be perfect to enjoy on those chilly mornings. I love the cranberries! They sure are. 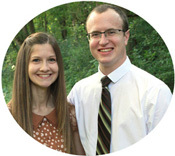 I am so happy for you – getting to experience fall is amazing. It’s a gorgeous season. Thank you so much, Alyssa!